1. 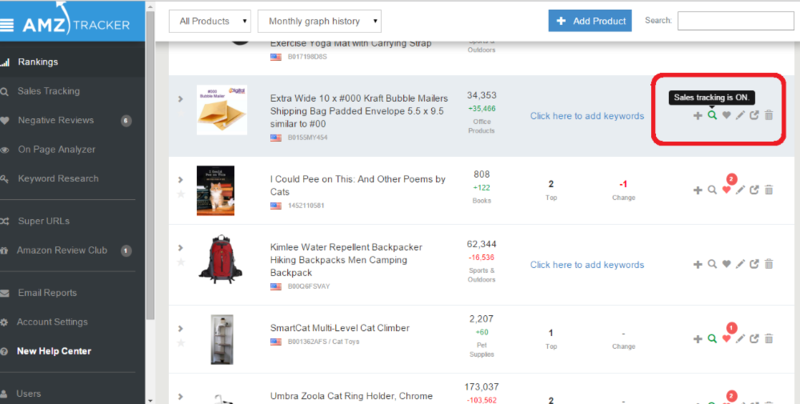 How to Turn On Sales Tracker from the Rankings Tab? 2. How to Turn On Sales Tracker from the Sales Tracking Tab? 3. Why Should I Turn On Sales Tracking? 4. How Do I Turn Off Sales Tracking? 5. How Do I Track Sales for Multiple Variations? 6. How Do I View The Sales Graph For Each Variation? Go to the 'Rankings' dashboard. Here you will see a list of your products. Turn Sales Tracking on by clicking the 'magnifying glass' on the product you want to track. A pop-box will appear titled Inventory Tracker. This will take a few seconds to refresh and now click 'Close'. 2. 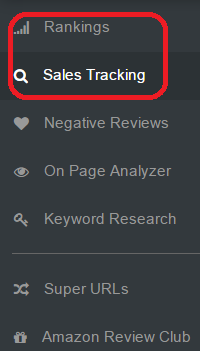 How to Turn On Sales Tracker from the "Sales Tracking" Tab? 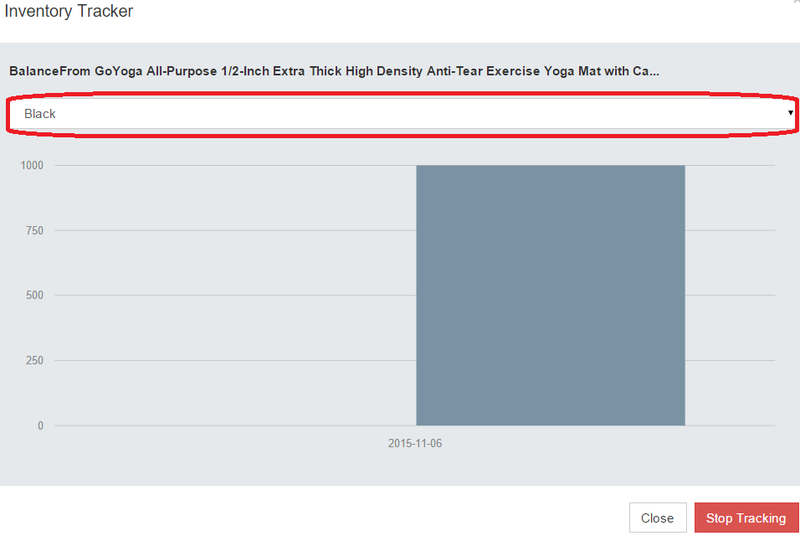 This amazing feature can track the sales of your competitor’s products. It’s a great way to assess the economic viability of a niche or product, before making any investment. Spy on your competitor’s, discover new untapped niches, or keep an eye on which way your sales are trending. Go to your AMZ Tracker Dashboard. You should now see all your products listed out with small icons to the right of them. The 'magnifying glass' icon should be green if the Sales Tracking is on. If you hover over this icon, a box will appear saying 'Sales tracking is ON'. A large box with a graph will appear. Make sure you have added the product in your AMZ Tracker Dashboard - To see how to add products, see here. 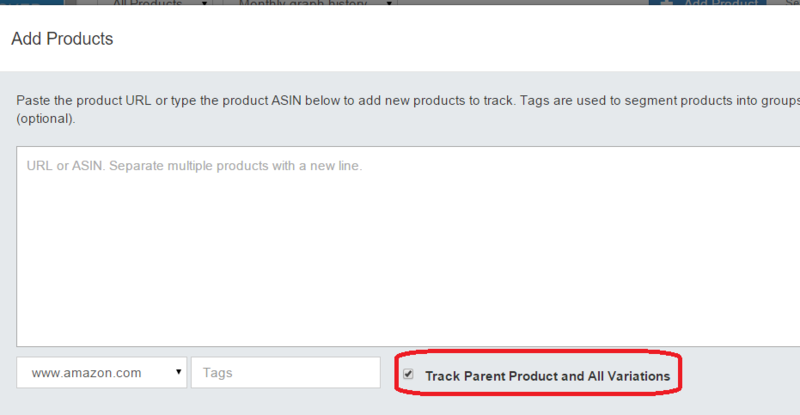 Ensure you have selected 'Track Parent Product and all Variations' (if you want to track all variations under one product, you will need to do this). Turn Your Sales Tracking On - See here on how to do this. In your Sales Tracking dashboard, for the product you want to check sales for, hover over the table icon. You should see a box appear with the text 'Show Variations Table'. Hover over the 'graph icon'. You will see a box with text saying 'Show Graph'. Now, go ahead and click on this icon. 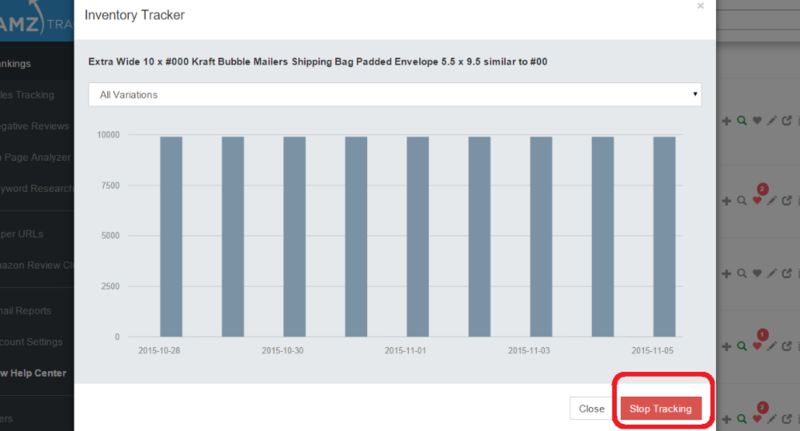 You will get a pop up box with a graph of sales data for that variation. If you want to see the data for different variations, simply click on the dropdown menu (highlighted above in red) and select the variation.